Do your kids love singing along to their favorite songs like If You're Happy and You Know It while watching funny cars and trucks learn about colors? Well. this 20 minute nonstop video for kids will be perfect for them! 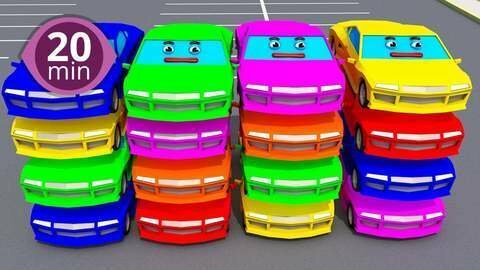 Sing along, learn your colors and laugh as you watch this 3D car cartoon for kids! Watch more fun 3D car cartoons for kids for free at SeeZisKids!